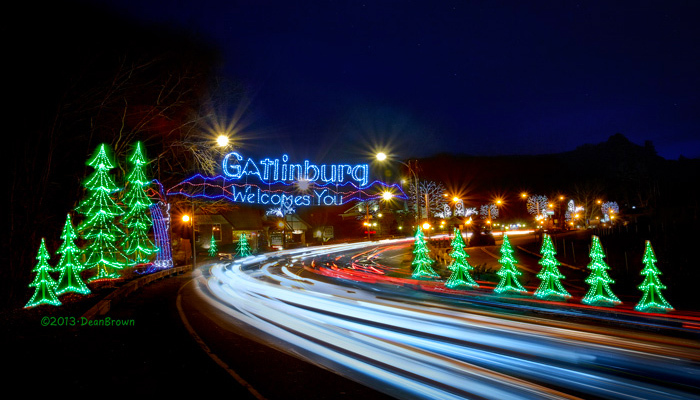 Planning to come to Gatlinburg during the month of December? Winter is a truly magical season in the Smokies filled with millions of glittering lights and festive holiday events, so there's a lot to do and see during this festive time of year. To help you get the most out of your wintertime getaway, we've made this guide with the top things to do in December in Gatlinburg and other vacation tips! With such cold temperatures, you may be wondering "does it snow in Gatlinburg in December?" During December in Gatlinburg, it can definitely be cold enough for snow. Typically, snow falls during this time of year are small. When snow does fall during this time of year, it may melt as daytime temperatures rise above freezing. 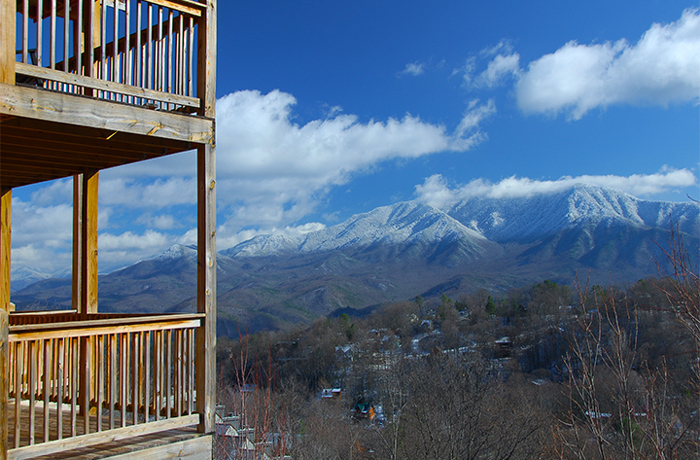 On average, Gatlinburg receives 1 inch of snowfall during the month of December. That being said, higher elevation areas in the national park receive 69" of snow annually so if you want to see snow during your December vacation, simply take a drive up to Newfound Gap in the National Park. Because snow is much more common in high elevation regions of the park, you may get to enjoy the sight of snow-capped mountain peaks in the Smokies during your December trip! Winter Magic Christmas Lights – During the entire month of December, Gatlinburg is decked out in 3 million Christmas lights that are arranged into beautiful and charming displays for the annual Winter Magic festival! Whether you're just strolling through Downtown or taking a guided trolley tours, these stunning lights are just what you need to feel the holiday spirit! Additionally, you can also see light displays in nearby Pigeon Forge & Sevierville. Fantasy of Lights Christmas Parade – This incredible small town Christmas parade brings in over 60,000 spectators to see dozens of floats, marching bands, balloon characters, and of course, Santa Clause. The Fantasy of Lights Parade is the largest Christmas parade in the Smokies and it has been a beloved tradition for over 40 years. Christmas At Dollywood – Named one of America's best Christmas attractions, Dollywood Theme Park truly knows how to celebrate the yuletide season. With over 4 million festive lights, a nightly parade of Christmas floats, and special seasonal shows, Dollywood is an excellent place to experience the magic of the holidays in the Smoky Mountains. Smoky Mountain Winter Tunes and Tales – During the month of December, you can also see live street performances by characters in 19th century period dress in Downtown Gatlinburg. During Smoky Mountain Tunes and Tales nights Storytellers, musicians, and dancers share a bit of authentic Smoky Mountain culture while they spread Christmas cheer! You can see this festive band of merry-makers on the first 4 weekends after Thanksgiving. New Years Ball Drop Celebration - Before the clock strikes midnight on New Year's Eve, thousands of visitors flock to Downtown Gatlinburg to see the largest New Years event in the Smokies. The Gatlinburg Space Needle serves as the epicenter for this event where you'll enjoy a live DJ. Once the New Year arrives, you'll be treated to a fantastic fireworks show that's synchronized to music and special LED light effects. December is the perfect time to play in the snow in Gatlinburg, so be sure to check out winter sports at Ober Ski Mountain! This ski resort rests only minutes from Downtown Gatlinburg and it offers indoor ice skating and downhill skiing and snowboarding! Additionally, Ober has a large snow tubing run that's a big hit with kids and families. To reach Ober, you can make the short drive up Ski Mountain road or you can take the Ober Tram Lift that begins in Downtown. When cold weather arrives in Gatlinburg, it's a great opportunity to explore the Great Smoky Mountains, National Park during a stunning season! Winter reveals things in the national park that are usually hidden. During the winter season in the Smokies, all of the leaves on the trees and thick underbrush are gone, so you can see more mountain views on your hike. Additionally, you can explore sights like frozen waterfalls and see snow-covered trees in the mountains. As an added perk, winter is generally a lower month for park visitation, so you can enjoy having the beauty of the Great Smoky Mountains National Park all to yourself! Some popular winter hikes for visitors are The Ramsey Cascades Trail, The Chimney Top Trail, and The Laurel Falls Trail. During the evening, you can take the Winter Magic Trolley Tour to see all of Gatlinburg's beautiful Christmas lights from the comfort of a heated, enclosed trolley. These memorable guided tours cost only $5 per person and they are an excellent way to see the Winter Magic Festival in Gatlinburg. When the weather is cold, sometimes it's better to stay inside. Luckily, Gatlinburg and the Great Smoky Mountains area is home to lots of fun indoor attractions. Some favorite destinations in Gatlinburg are The Ripley's Aquarium of the Smokies, Gatlin's Escape Games, or the indoor ice skating Rink at Ober. In nearby Pigeon Forge, you'll find other indoor attractions like the Titanic Museum and Wonderworks. The Top Jump Trampoline Park is a great place for kids to work off some energy! During a crisp day in December, nothing beats relaxing at your own private log cabin in the mountains. Not only can you enjoy having a cabin rental with a lovely winter view, but you can also stay toasty warm with amenities like fireplaces, jacuzzi tubs, and steamy outdoor hot tubs. Additionally, some of our cabins offer outdoor fire pits, so you can enjoy sitting around a campfire underneath a cold, clear Smoky Mountain night's sky! 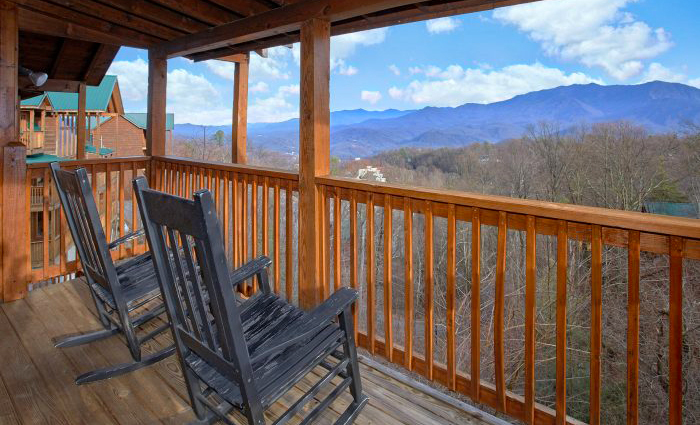 Ready to start your December getaway to Gatlinburg? Feel free to contact our helpful reservations staff at (865) 436-5031. We'd be glad to help you plan your vacation and find the perfect cabin for your stay! Best of all, you can save on your trip with our special 15% December cabin discount! Book My December Cabin Today!